Under Armour Inc. posted better-than-expected earnings for the third quarter, a sign that an overhaul of the sports brand might be starting to pay off. Adjusted earnings amounted to 25 cents a share, beating the 13-cent estimate of analysts. Sales also slightly outpaced projections. The results back up executives’ pledge to show improvement in the second half of 2018. The company is trying to get a grip on a glut of inventory that weighed down margins and led to discounted prices. Inventories were down 1 per cent to US$1.17 billion, a better result than the company projected. Revenue in Under Armour’s all-important domestic market decreased 2 per cent to US$1.1 billion. 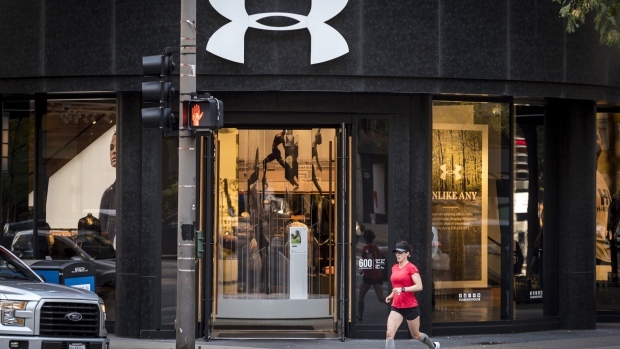 Though those sales losses were offset by international gains, Under Armour is more dependent than rivals Skechers USA Inc., Adidas AG and Nike Inc. on its home market. One the back of the strong earnings, Under Armour boosted its EPS forecast for the full year to as much as 22 cents from as much as 19 cents. Full-year revenue-growth expectations remained flat. Under Armour shares rose as much as 8.9 per cent in premarket trading. The shares had been up 26 per cent this year, though they’d declined from a high in June.